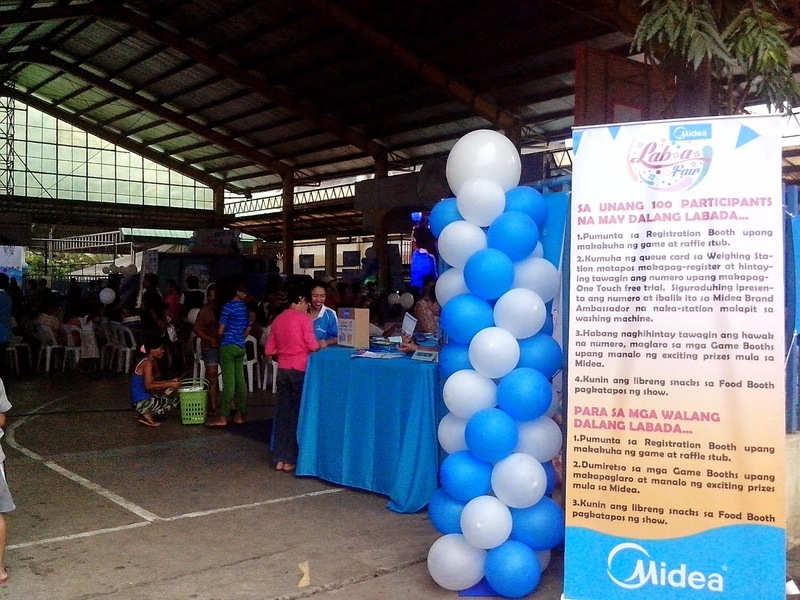 Last August 10, Midea hosted a one-of-a-kind event at the Brgy. 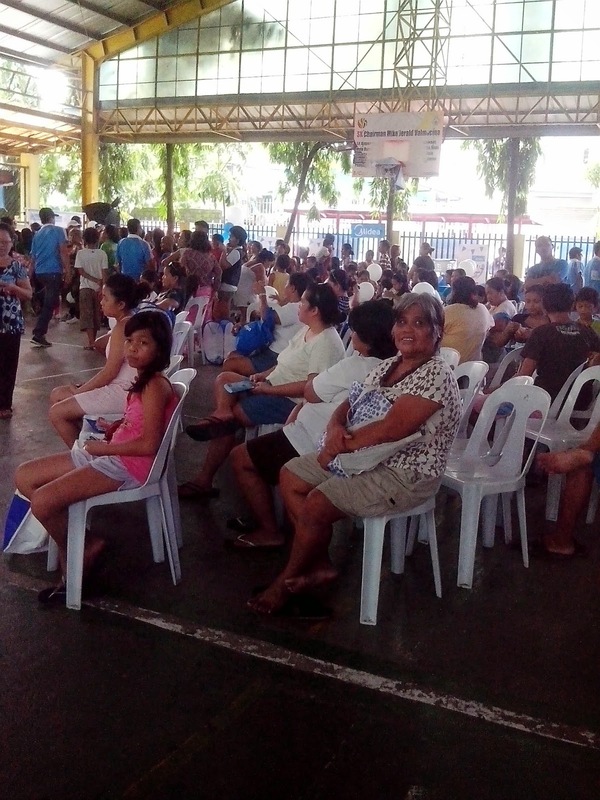 Holy Spirit Covered Court in Commonwealth, Quezon City. 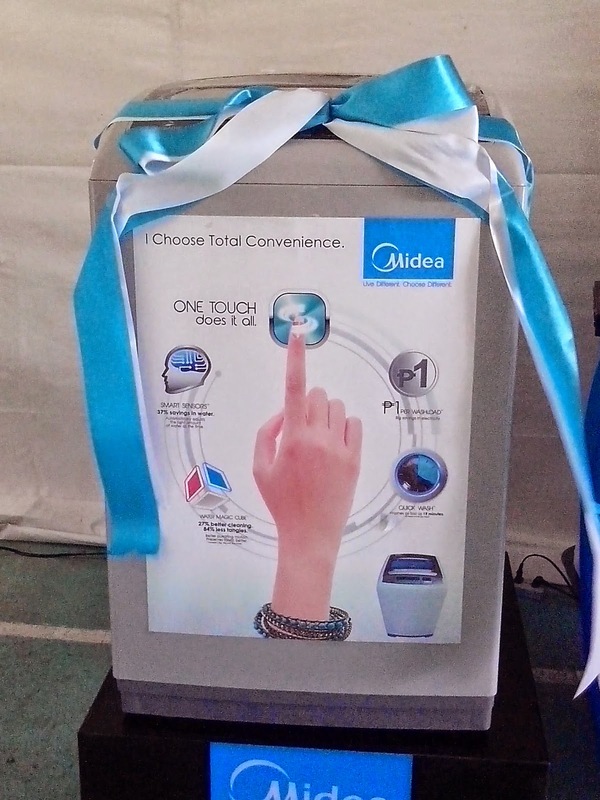 Entitled- Lab-A-Fair, the event highlighted Midea's latest state-of-the-art One-Touch Washing Machine that's not only energy-saver but time-saver as well. 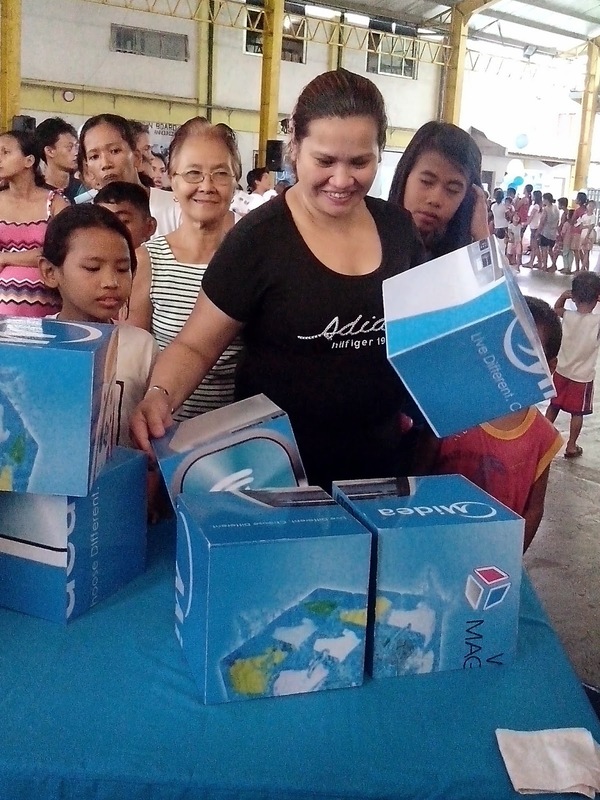 The whole day event also encourages 100 participants from the baranggay to bring their laundy (yes, laundry) with them so that they can have it washed and at the same time experience Midea's One-Touch Washing Machine. 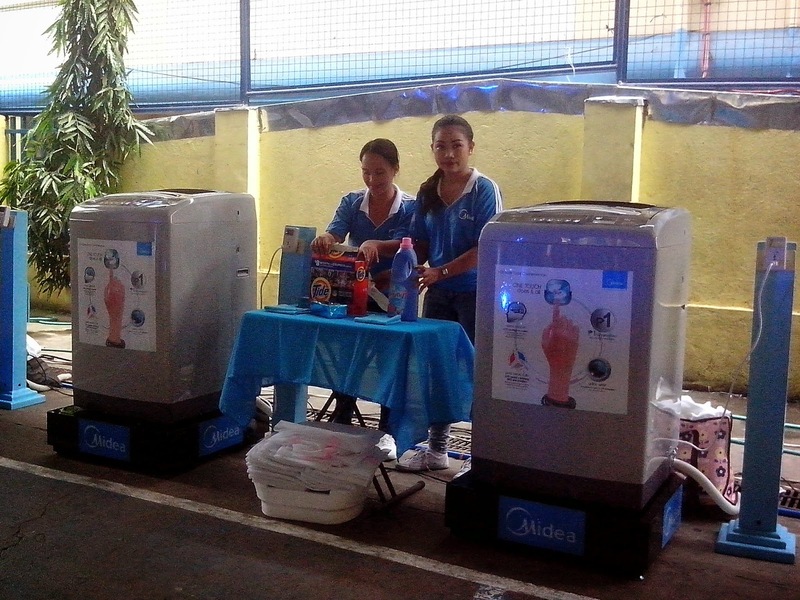 A total of 10 washing machines were set up in the covered court to accommodate the laundry. 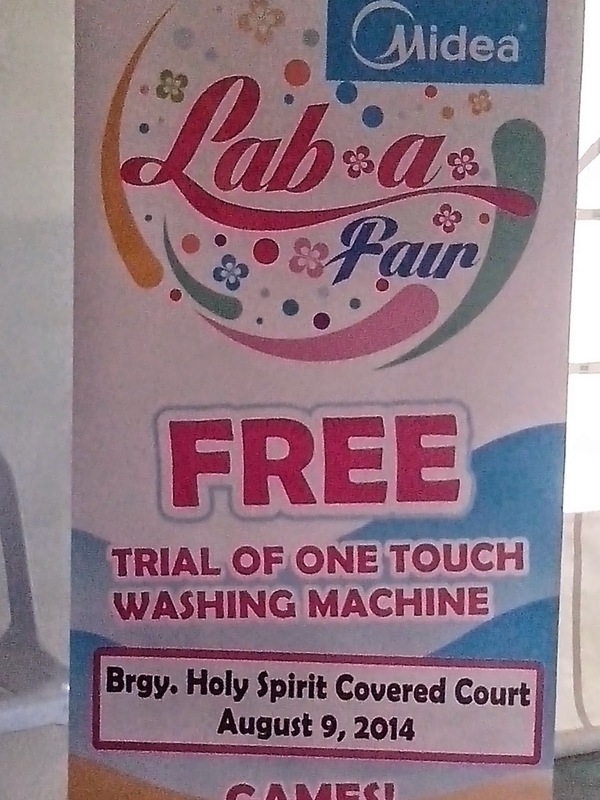 But its not just laundry day at Lab-A-Fair. 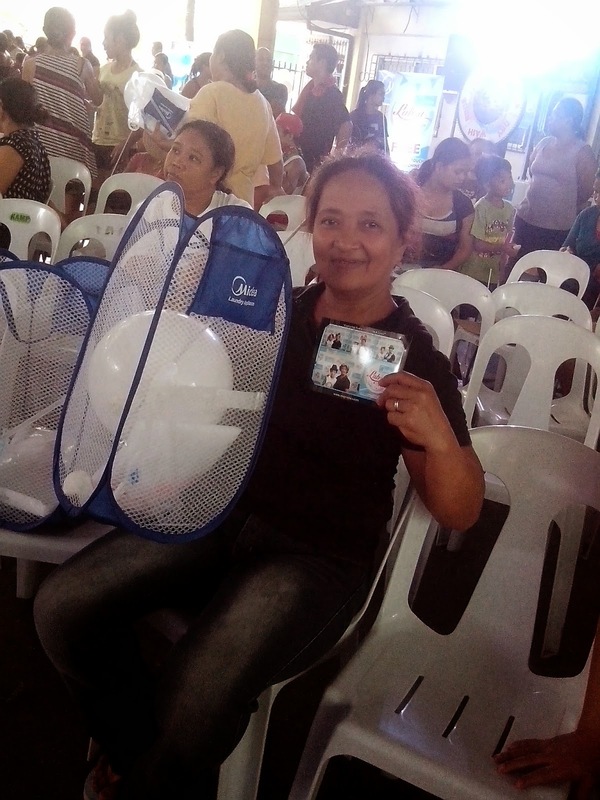 The whole baranggay was also treated to some fun, and games, and lots of laughter. 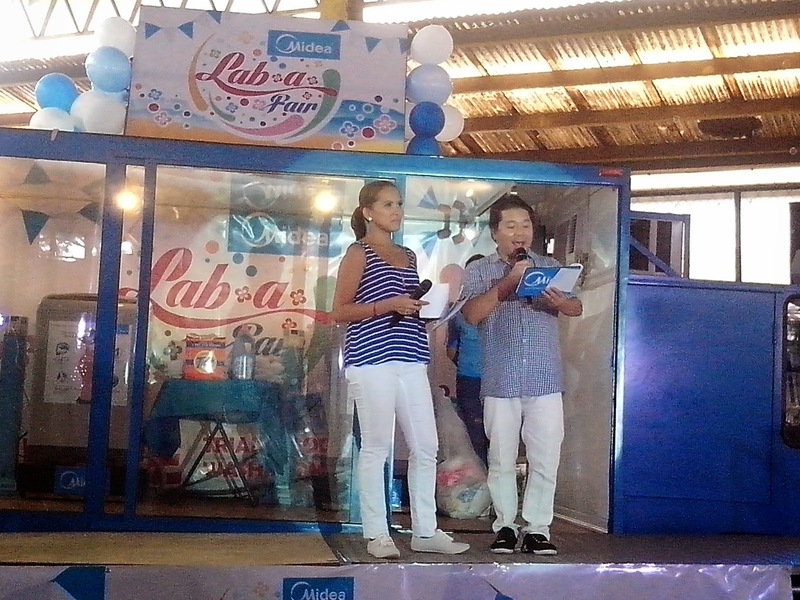 Hosted by Gabe Mercado and Gelli Victor, the duo kick-started the program by introducing Midea One-Touch and with a live demo. 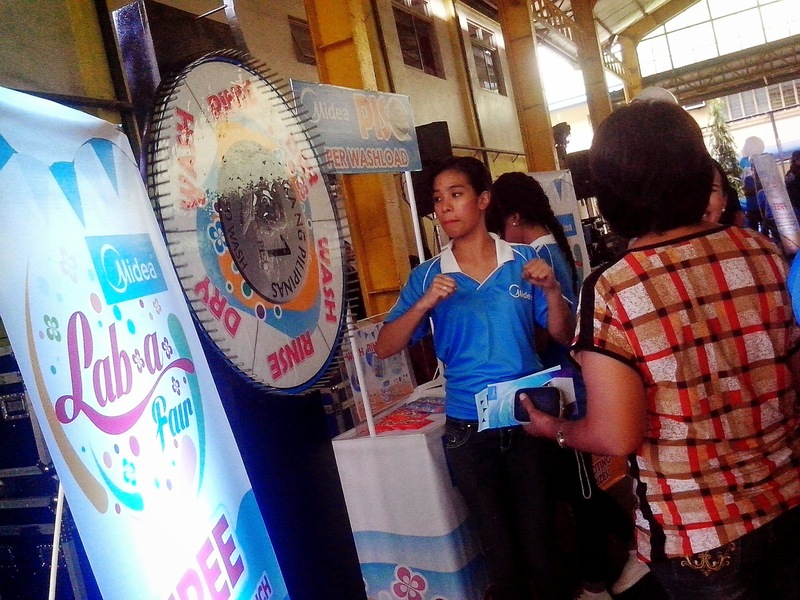 While waiting for the laundry demo to finish, the audience was treated to games and raffles with exciting prizes. 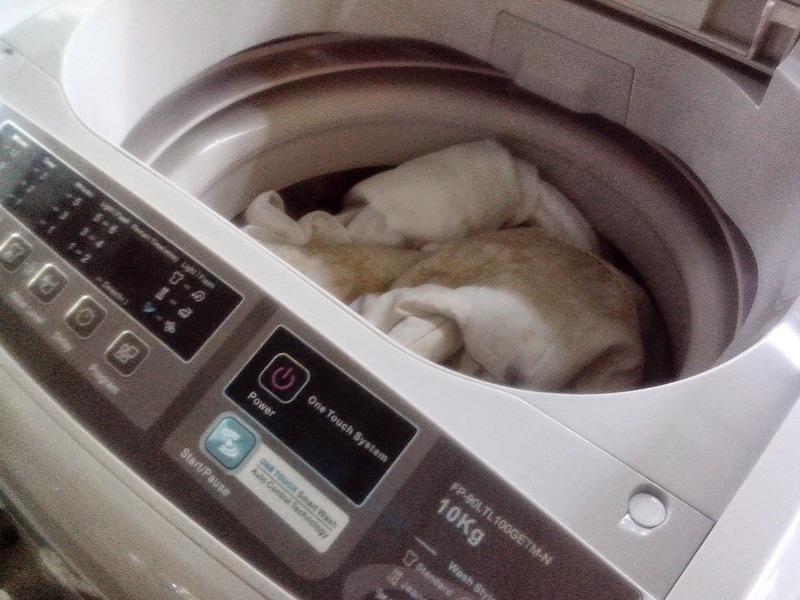 "We are very delighted with the turnout and we look forward to doing this more often, particularly in barangays in Metro Manila where washing clothes is quite difficult, and drying is also a challenge given the rainy weather we have. 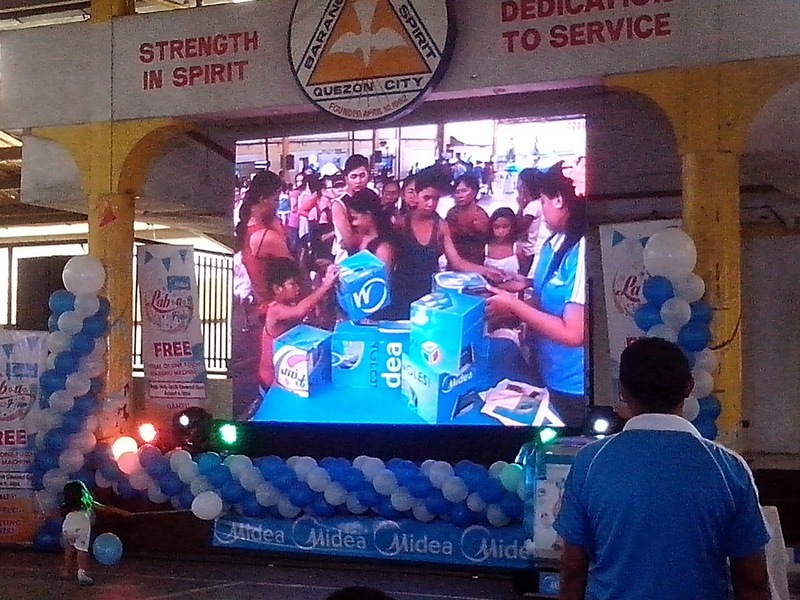 This event is Midea's gift to the people where they can experience doing their laundry in the most cost-efficient way and most of all, be able to enjoy doing it," explains Mr. Joeben Gamatero, Marketing Director of Concepcion Midea, Inc.